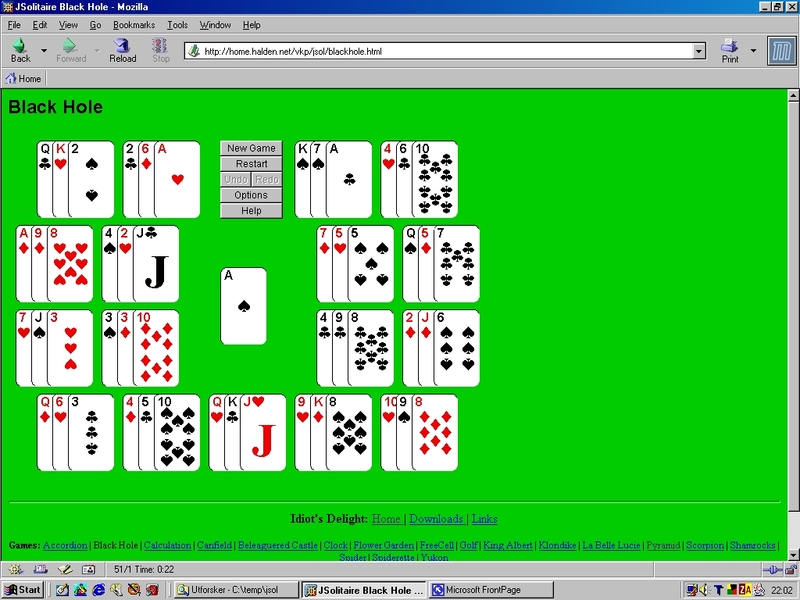 Freeware Java Applet with 18 solitaire games. 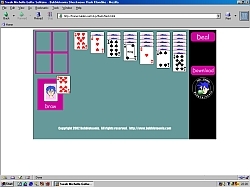 'Buffy - the Vampire Slayer Solitaire' is a java based card game. 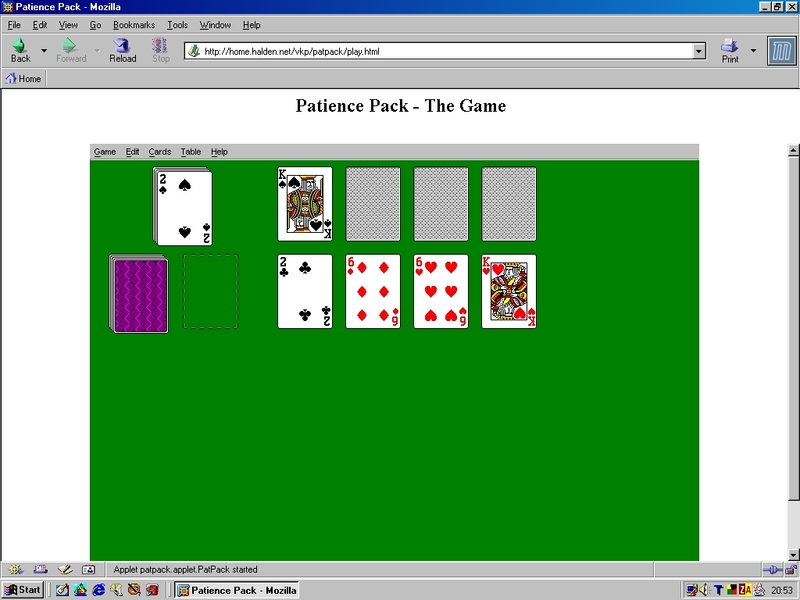 Basic Klondike with cards faces featuring Sarah Michelle Gellar. 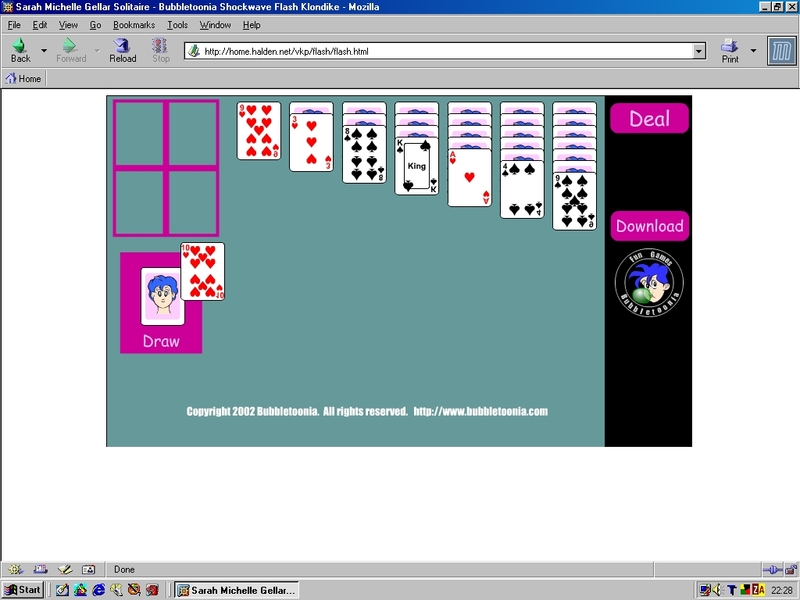 Bubbletoonia Solitaire-freeware from Bubbletoonia-"Download or put this game on your site !!"